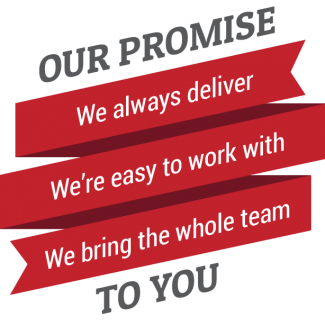 We are passionate about delivering on our commitments and doing what’s right for you. Our most fundamental core value is that we do what we say we are going to do – always. Even when circumstances change or an unexpected situation arises, we will do whatever it takes to make it right for you. We’re Easy to Work With. We are committed to being the easiest, most flexible and most convenient technology partner you have ever worked with. Our local, professional and friendly employees go out of their way to respond quickly and accommodate your needs. We collaborate with your internal staff and other strategic partners and believe that long-term success is achieved through mutual education and information-sharing. We Bring the Whole Team. We do everything as a united Catapult team. Even when you engage a single consultant, you benefit from the collective experience, expertise and creativity of our entire organization. When any one of our employees encounters a challenge, they have all our internal and external resources at their disposal to overcome it quickly. We have staked our reputation on hiring and retaining the most talented individuals in our industry, as well as partnering with the right firms to provide the most value to you.